Anthony Joshua posts picture of Nigerian delicacy – Royal Times of Nigeria. World heavyweight boxing champion, Anthony Joshua has taken to social media to show of some of what he describes as his source of power. 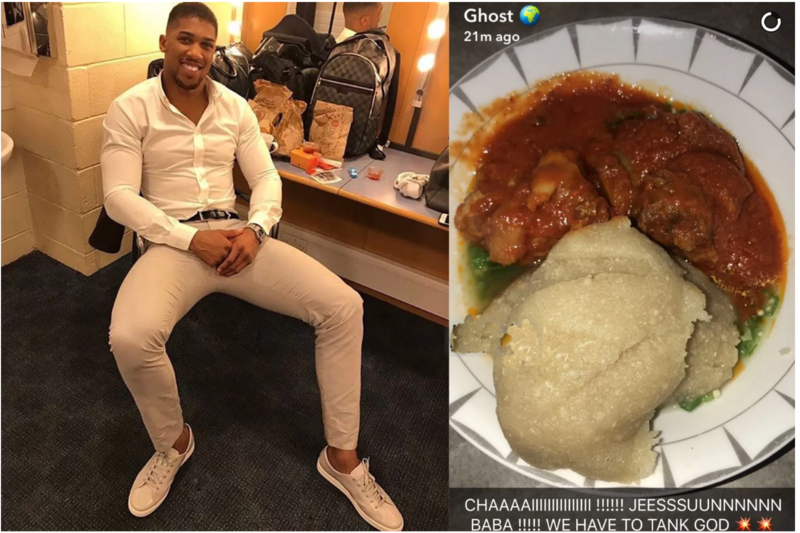 The British Nigerian boxer posted the photo of a bowl of Eba and soup served and ready to eat on his Snapchat page. It will be recalled that the 27-year-old, during an interview shortly after his victory over Ukrainian champion Wladimir Klitschko, said that some of his native Nigerian delicacies helped in knocking Klitschko out.